Cameras are sure one of the gadgets that people love in this modern world. And one of the advantages of having them is the chance to capture moments that may never happen again such as UFO sightings, perhaps. 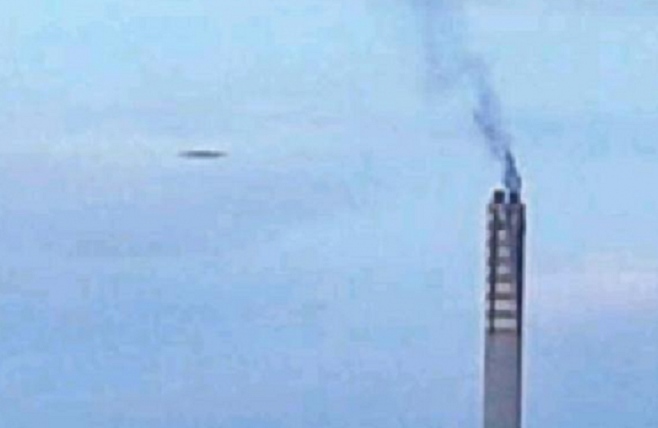 A police officer claimed that he had caught an image of a UFO using mobile phone on March 19 at 6 o’clock in the evening in Marsaxlokk. Like what is commonly described as a unidentified flying object, the said object caught by the phone’s camera appears to have an oval shape and had a black color. The scene was reported to be in the vicinity of Delimara power station chimney. The photo was posted on site UFO Facebook by user named William Attard, who said that the responsible officer requested to make his identity anonymous. Marsaxlokk is a fishing village that rests in southeastern Malta. It has a population of 3,277. It is very interesting that even in a small village like this, UFO sightings are still reported. What keeps on appearing in the mind of the many is why such reports keep on attracting such much attention despite the fact that none of them are proven true. looks like the one that flew by the world trade center tower #2 while the second jet hit the tower. At long last, society might start to get it now, we are NOT, alone, and never have been, its time…we are all from one SOURCE, of life, energy, life-force….yeppie!….love the picture..well done.. I find this a convincing photo.